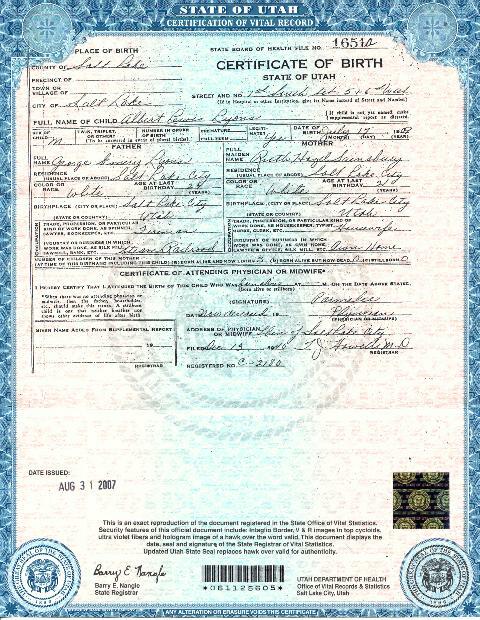 Utah now offers the convenience of ordering birth certificates on-line if you meet certain security criteria. Here’s the link if you still need to get your child a birth certificate. Thanks for the info Erin. Several holiday baby opportunities were available with the little ones choosing not to be born on St. Patrick’s Day, Vernal equinox (missed it by 15 minutes) or Easter. Maybe they’re waiting for Mother’s Day or Fourth of July. Maybe the snow has confused them. I’m doing great and can’t wait to get back to digging in the dirt in my garden and watching the purple carrots grow….while the moms ripen happy babies. You are currently browsing the Great Expecations Birth Care blog archives for May, 2010.